Tumbled stones measure between 0.65" - 1.2". Girasol is a variety of quartz that has a milky white appearance. 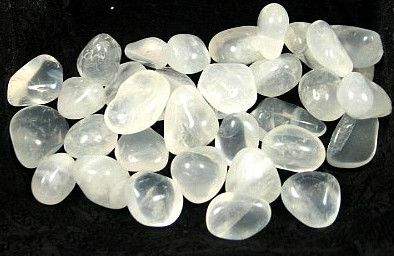 It is also known as moon quartz, blue opal quartz or milky quartz. Girasol is a communication stone. It stimulates communication and aids in airing thoughts that one has been reluctant to say in the past. It encourages freedom of speech. This stone also enhances creativity and helps one to connect people and situations that encourage you. It also balances your metabolism and aids in the uptake of iron in your system.